Spring kicks off with a flurry of wine-and-food (and food-and-wine) festivals, so why not indulge in every one? First up is La Grange Uncorked on Saturday, March 16, taking place in the historic Fayette Courthouse Square. For updates on participating food and wine vendors, visit lguncorked.com or call 979-968-5756. While you’re in the area, visit the lovely Rohan Meadery (rohanmeadery.com) and stick around for a musical treat at The Bugle Boy (thebugleboy.org). Next up is the 10th annual Sugar Land Wine & Food Affair that runs from April 24–28 in Sugar Land in Fort Bend County, located 18 miles southwest of Houston (sugarlandwineandfoodaffair.com). Attracting foodies from around the state, this five-day festival offers chef workshops and wine tastings galore. And while you’re there, visit the Farmers Market at Imperial at the former site of the Imperial Sugar Factory, the oldest continuously operating business in the state of Texas which processed sugar there for more than 160 years. Open every Saturday from 9 a.m.–1 p.m. Looking for a festival with food at the forefront? Experience the 2013 Austin Food & Wine Festival, presented by Food & Wine Magazine on April 26–28. This year’s festival features Chefs David Bull, Tyson Cole, Graham Elliot, Susan Feniger, Aaron Franklin, Bryce Gilmore, Jack Gilmore, Tim Love, Paul Qui, Rene Ortiz, Laura Sawicki, Barton Seaver, Christina Tosi, Jonathan Waxman, Jamie Zelko and Andrew Zimmern among others. Visit austinfoodandwinefestival.com for schedule and ticket options. 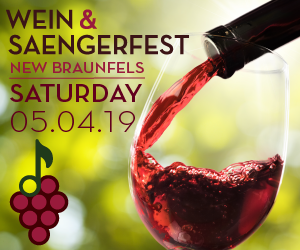 For a festival with an all-Texas focus, join us for the Hill Country Wine and Music Festival, benefiting and promoting the establishment of the Texas Center for Wine and Culinary Arts in Fredericksburg (see more below). The festival takes place on April 26–27 at the Wildseed Farms located on U.S. Hwy 290, seven miles east of Fredericksburg. The festival features some of Central Texas’s hottest wineries and food artisans, while the Texas music stage will feature Flamenco Jazz with Jose Tejeda and the A’lante Flamenco Dance Ensemble, John Arthur Martinez, Charles Thibodeaux and the Austin Cajun Aces and The Almost Patsy Cline Band. See hillcountrywineandmusic.com for tickets and more. It’s that time again! The annual Funky Chicken Coop Tour (FCCT) is coming up on Saturday, March 30. This marks the fifth year that Austinites have opened their backyards and chicken coops to fellow chicken lovers. Only this year, there’s a twist: Why not ride the tour on two wheels? FCCT is partnering with the Austin cycling community to prepare the tour route, provide guides to lead participants from coop to coop, set up rest stops and perform minor bicycle repairs along the way. Visit austincooptour.org for volunteer and tour information. Spend Sunday afternoon on April 14 strolling vibrant fields of produce and visiting with chickens, donkeys and goats on four neighboring urban farms. At each farm, chefs will provide tastes of their art using farm-fresh ingredients while local brewers, wine merchants and mixologists will offer sips along with your farmer-led farm tours.This event will change the way you look at local food and the people you buy from as well as offering the perfect opportunity to get your most pressing gardening questions answered! The East Austin Urban Farm Tour benefits Farm and Ranch Freedom Alliance, a national organization based in Texas that supports independent family farmers and protects a healthful food supply for American consumers. See eastaustinurbanfarmtour.com for details and tickets. We’re pleased to announce the return of Texas VegFest on April 6, at Fiesta Gardens. The festival is an opportunity to celebrate all the benefits of a plant-based diet—from improving health and protecting the environment to strengthening our relationship with animals and our connection to the food grown in our community. Enjoy the food, entertainment, children’s activities, speakers, cooking demos and interactive events that will get you excited about the produce on your plate. Visit texasvegfest.com for more information. Here’s a first peek at phase one of the schematic design for the Texas Center for Wine and Culinary Arts, just completed by Overland Partners of San Antonio. The center will be located adjacent to Barons Creek in downtown Fredericksburg, and its mission is “dedicated to the awareness, understanding and celebration of Texas food, wine and agriculture through educational programming and hands-on experiences.” The 30,000 square-foot facility will include a hands-on kitchen, a theater and demo kitchen, two permanent classrooms, a board room, a restaurant, a wine tasting area, wine-and-food-related retail, a patio with an outdoor teaching kitchen and BBQ center, approximately 10,500 square feet of indoor event space and an outdoor event lawn. The center will be built three blocks off of historic Main Street and an easy walk from 300 hotel and motel rooms and Fredericksburg’s numerous B&Bs and guesthouses. A challenge grant of $1.2 million to purchase the property for the center has been received from the Don L. and Julie Holden Foundation. The center is organized as a 501(c)(3) so donations to the project are tax deductible. Visit texascenterforwineandculinaryarts.com for updates. AUSTIN FOOD BLOGGERS ARE COOKING! In a jump from its home on the Web to the world of print, the nonprofit Austin Food Blogger Alliance (AFBA) is releasing its first-ever cookbook in April. History Press is publishing the sizable cookbook, which includes more than 100 recipes—including fried egg tacos, avocado margaritas, carrot cake bouchons and Texas coffee ribs—along with stories, photos and vignettes culled from AFBA’s members around Central Texas. Proceeds from the sale of the cookbooks will benefit AFBA’s efforts to support food writers throughout the region. Visit austinfoodbloggers.org for details and pre-orders. Last year’s inaugural Tastemaker Awards, presented by Austin CultureMap, was a huge success, and this year promises to be just as delicious. The Tastemaker Awards recognize the culinary achievements of individuals and restaurants in the Austin area. Categories for recognition include restaurant, chef, pastry chef, brewery, craft bartender and sommelier/beverage director. The nominees are in, and the awards will be announced live on April 11 at the Driskill Hotel. See austin.culturemap.com for a full list of nominees in each category, and further information about attending this event. Edible Austin, The SANDE Youth Project and the Children’s Environmental Health Institute are copresenting a Children’s Picnic and Real Food Fair on Sunday, April 7, from 1–5 p.m. on the grounds of the French Legation Museum. Bring the whole family to this free community event, and enjoy a picnic brought from home or buy picnic fixings from an array of local farmers market food vendors. There will be interactive workshops and demos on square-foot gardening, cooking, beekeeping and more as well as a youth music stage, movies and opportunities to visit with a multitude of representatives from health and wellness professions. Free! There are many reasons to visit Snack Bar—not the least of which is the dog-friendly patio, one of the best spots for people-watching on South Congress Avenue. But it’s Chef Thomas Reeh’s thoughtful menu that’s the real draw, and it’s no exception for kids. Not only is the children’s menu full of tasty, healthful options—like a scrambled farm egg with fruit, and quinoa with pineapple and avocado—it also doubles as a coloring sheet, giving the grown-ups more time for happy hour. See snackbaraustin.com for menus and more. RELAX AND SMELL THE LAVENDER! While Becker Vineyards is most noted for its wine, the property near Fredericksburg also includes three acres of beautifully perfumed lavender. Becker will host its 15th Annual Lavender Festival on April 27–28, with lavender fields in bloom as the backdrop for wine tasting and tours, live music, vintner luncheons, vendors selling lavender products and plants and more. Visit beckervineyards.com for details. Austin-based nonprofit Rainforest Partnership is a positive force in the fight to save the ever-dwindling tropical rainforests. They have made headway in communities in Ecuador and Peru, teaching locals how to develop environmentally sustainable economies—both to protect what remains and rejuvenate what has been lost. Some of these efforts will be showcased at SXSW Film Festival Community Screenings in their 4th annual Films for the Forest Challenge. The short films feature innovative approaches to issues facing rainforests and their surrounding communities. The screening will be during the week of March 8-16, location and times to be announced. See sxsw.com for complete schedule and updates. Austin’s East Side neighborhood of Rosewood has witnessed dramatic change in recent years, but until recently it was still sorely lacking in nutritional resources. The opening of Rosewood Community Market at 1819 Rosewood Ave. has changed that. Owner Allen Rogers opened the market in an area designated as a “USDA food desert” because of its lack of healthful food options. It’s likely that designation won’t last for long. With just two aisles and no shopping carts, the compact space is brimming with fresh local produce and other grab-and-go items. Visit rosewoodfood.com for more information.